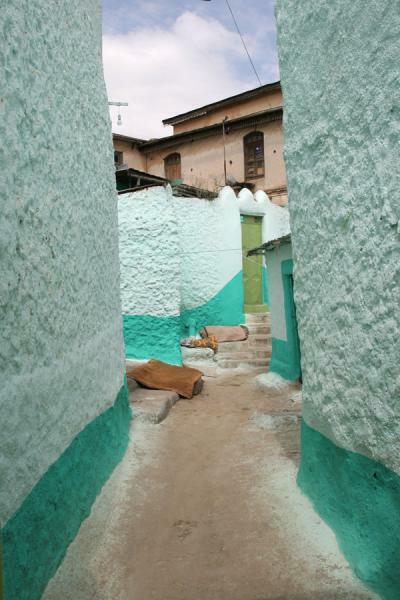 According to some Muslims, Harar is the fourth holiest city in the world. 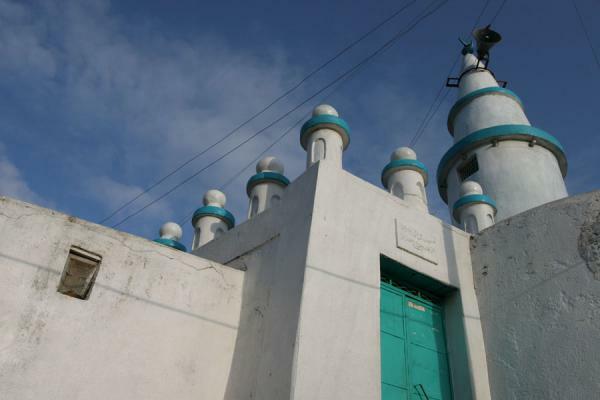 Combined with the legendary history of the old place, one even implying prophet Mohammed as the founder of the city, it made me expect an inaccesible city. 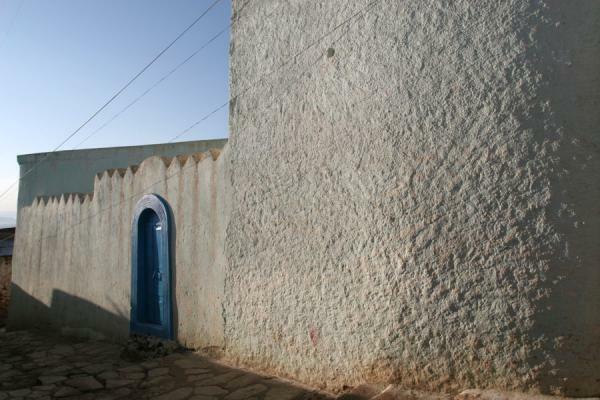 For centuries, Harar was the pivotal place in the religious battles of the region, and used as a base by the infamous Ahmed Gragn, the left-handed imam who fought the Christian empire in the are in the 16th century. 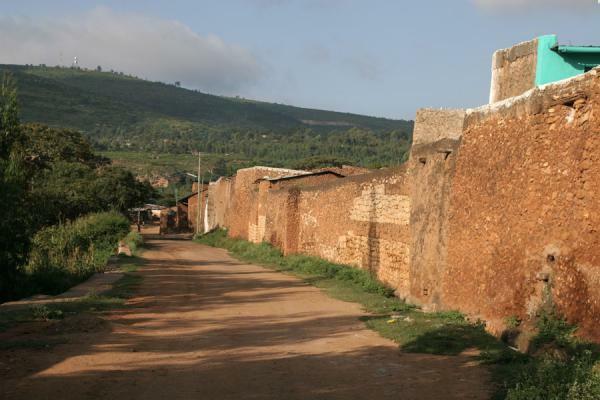 The walled city for a long time opened its city gates only for Muslims, and its autonomy only came to an end in 1875, although it still retains a special status within Ethiopia. 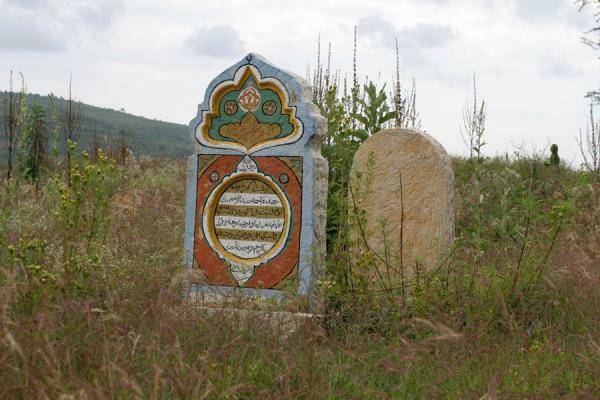 Richard Burton was the first European to visit the holy city in 1855, albeit under cover; later, he was followed by the famous French adventurist Arthur Rimbaud. 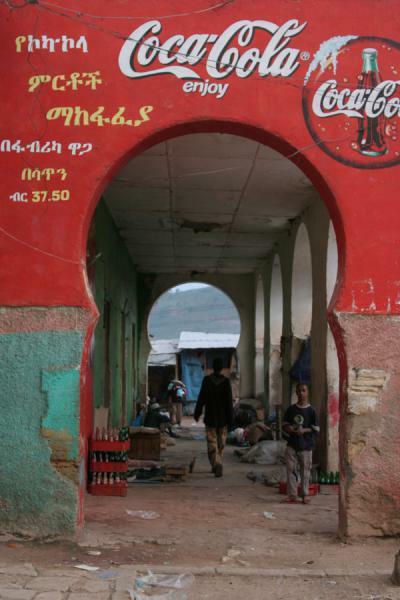 Nowadays Harar is open to anyone, and indeed, the atmosphere in the city is very pleasant also for the non-Muslim visitor. 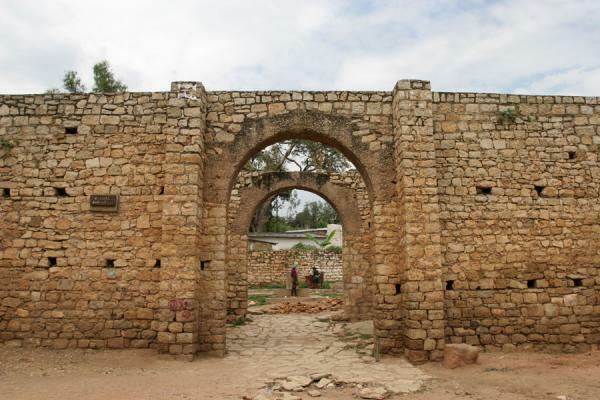 The city is still surrounded by old walls, along the lines set out by sultan Nur in the mid-1500s, some of the city gates are still impressive - but they are open all day long. 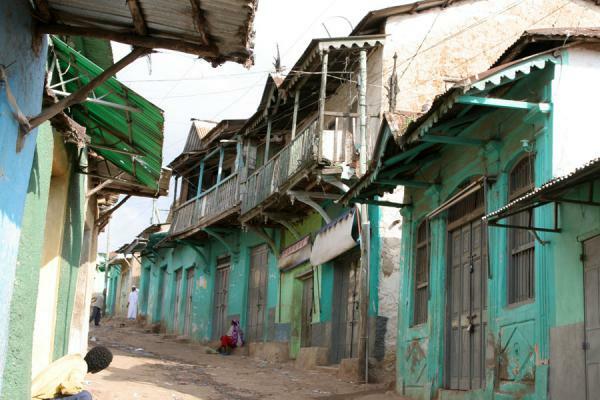 The old town of Jugal is the prime attraction of Harar, and is a great place to just wander around in for hours. 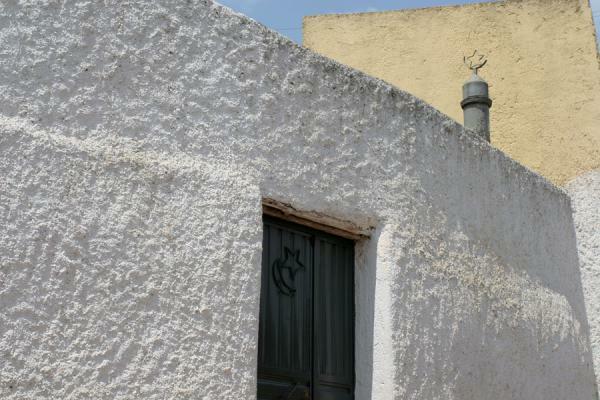 Getting lost is virtually impossible, following your nose and diving into narrow alleys brings you to unexpected places. The centre of the city is Feres Megala or Horse Market; from here, alleys and streets fan out in all directions, to end at the city gates. Of these, Showa Gate and Buda Gate are probably the most interesting to see. 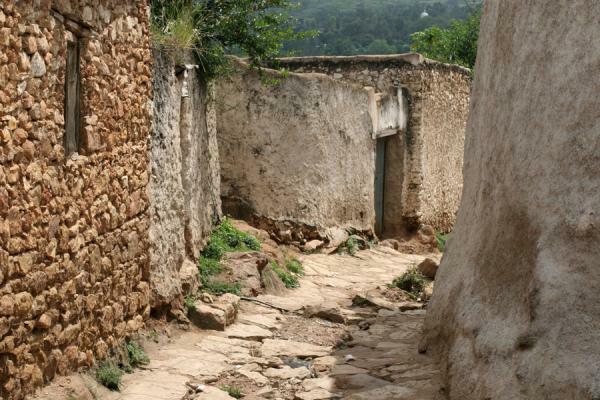 But the real pleasure of a visit to Harar and Jugal is to soak in the atmosphere, which is different from any other place in Ethiopia. 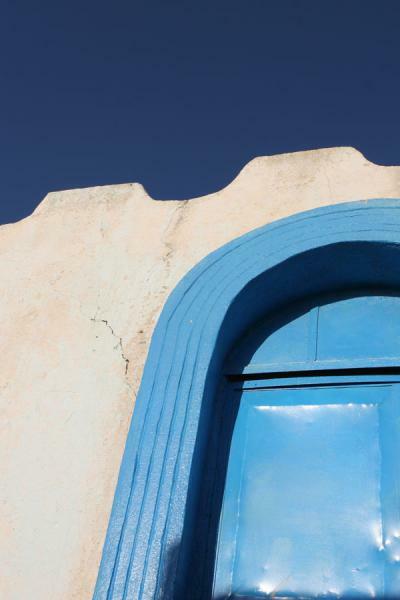 With a little bit of luck, you will be invited to one of the traditional houses - while not looking spectacular on the outside, stepping into a Harar house is like stepping into a small museum. 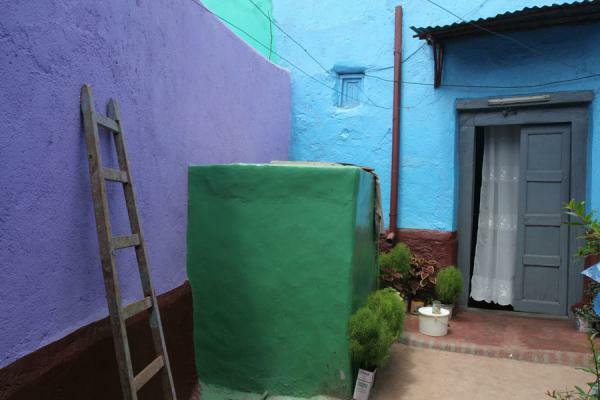 Small alcoves and niches are storage for pots and pans; the walls are covered by colourful kitchen utensils. 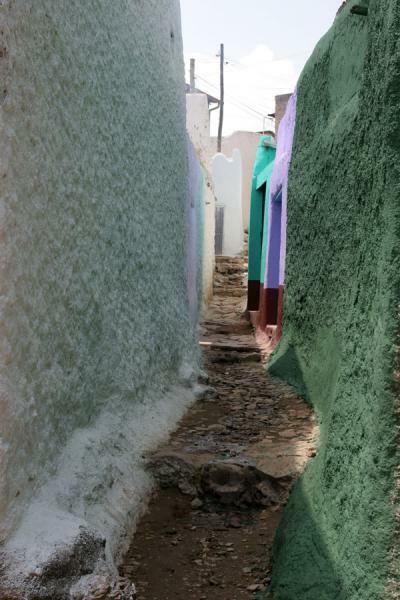 It is one of the many secrets of Harar. 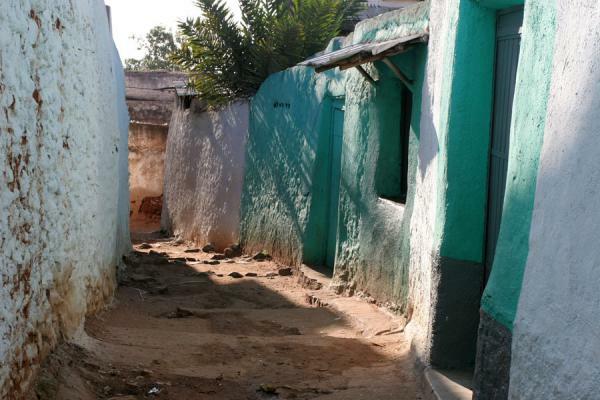 Personal travel impressions both in words and images from Harar (). Clicking on the pictures enlarges them and enables you to send the picture as a free e-card or download it for personal use, for instance, on your weblog. 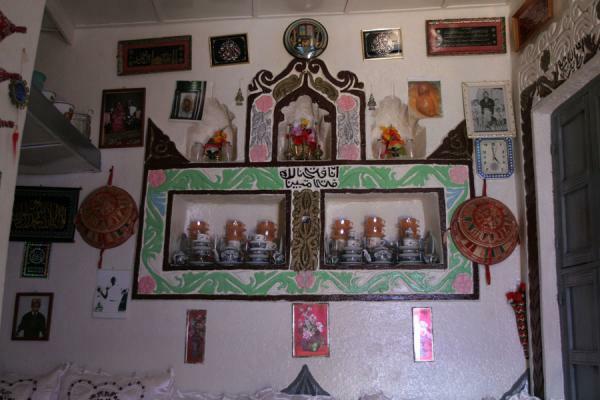 Or click on the map above to visit more places close to Harar.